The Packaging sacks offered by us designed and manufactured using superior quality cotton and are known for high durability, tear resistance and fine finishing. 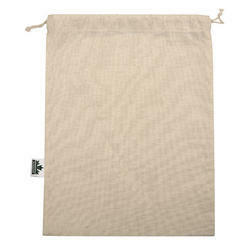 These custom packaging sacks are available in different color options with drawstring and without drawstring. Our customers can buy from us these bags at competitive prices. Material : 5oz light weight drwastrings cotton bags. 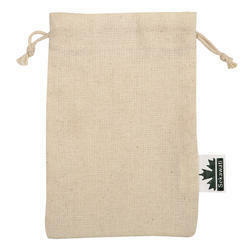 We are the exporter of Cotton Bag (Natural). Appx Size : 6”X9" Drawsting Bags & Customized. Material : 5 0z Cotton Canvas . Colour : Natural / Black / Green / Navy / Royal Blue / Red. We are the manufacturer and expoter of Mini Canvas Bag. Backed by the rich experience and competent team of diligent personnel, we are engaged in delivering a superior range of Packaging sacs which can be used to pack anything you want. These packaging sacks offered by us are widely acclaimed among the patrons, owing to their features such as strength, durability and good appearance. Appx Size : 04" x 06" bottom gusset & asper requirement. Colour : Natural/Black/Navy or any custom colour possible. We are the manufacturer and exporter of Reusable Grocery Bags.